← You can now listen in! This morning while I was teaching my Family History Class, I received a text from my husband, John: Kevin J. Worthen. I smiled at the news. 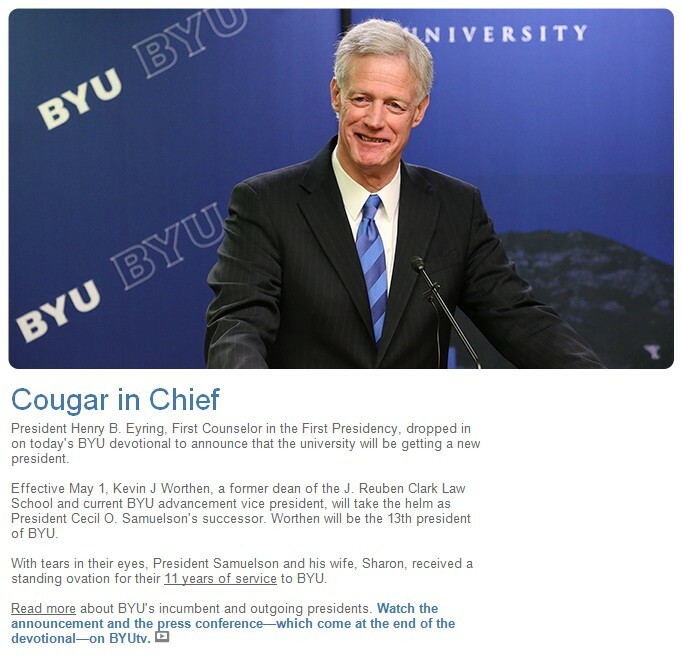 BYU has a new University President! Kevin has been the Advancement Vice President and John has been his Associate Vice President the last several years. 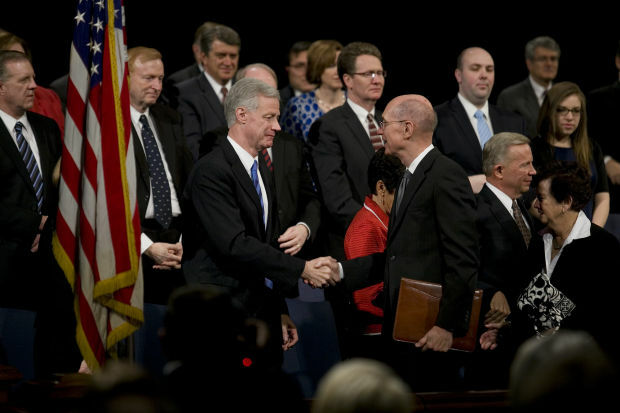 You’ll see John in the photo above between President Eyring and our new President Worthen. It’s a blue letter day in our BYU world. We are thrilled at the announcement. It will be interesting to see what changes our futures hold.